Australian undefeated WBO Inter-Continental welterweight champion Jeff Horn is very confident that he can beat Manny Pacquiao if the fight happens. “Pacquiao’s a fighter I’ve always looked up to. He was one of the reasons I got into boxing. I always loved the way he moved and the way he fought. He absolutely destroyed De La Hoya when I saw him the first time. I thought ‘wow’. I didn’t really follow boxing then but I was amazed by him. It’s incredible that I could soon be fighting him here in this huge stadium,” Horn said. Jeff Horn is a 29 years old boxer with the record of 16W(11KO)-1D. He is a hard-hitting boxer and won his last 3 fights via KO. He is currently ranked no. 12 by boxrec.com in the welterweight division and ranked no. 1 in Australia. 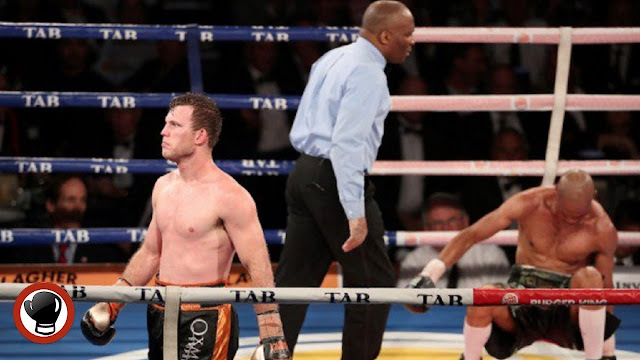 Jeff Horn defeats the German Rico Mueller last October 2016 via KO and also defeated the veteran Ali Funeka of South Africa via 6th round TKO. If Pacquiao vs Horn both agreed and the money is right. It will be possible to play around April 23, 2017, in Australia.